The Düsseldorf tramway network forms part of the public transport system in the capital city of the federal state of North Rhine-Westphalia. Opened in 1876, the network is currently operated by Rheinbahn AG. 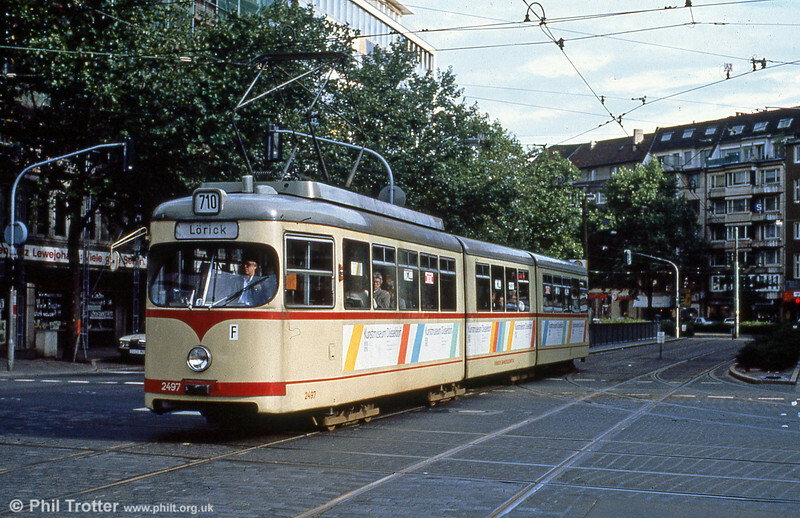 Car 2497 at Berliner Allee on 1st April 1991.